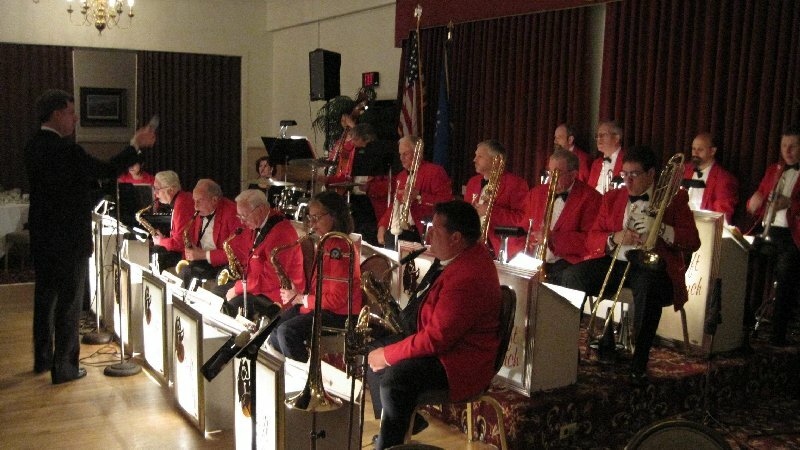 We're a Boston area big band available for a reasonable price. Benefits, concerts, weddings, reunions, anniversaries. We are the Soft Touch Dance Band, a Waltham-based eighteen-piece 'big band' directed by Kurt Thaller, with vocalists Caroline Griep and Gordon Russell . The band was founded in Waltham in 1980 and was first directed by Paul Rooney. The members, many of them retired professional musicians, receive no compensation for their performance. The engagement fees are used to provide college scholarships for musically-talented students. To date, our band has disbursed more than $130,000 in financial aid. We specialize in music from the swing era, 1940 - 1960, but also play many of the modern favorites, from Broadway to Rock. We'll even play your alma mater if you supply us with an advance copy of the piano music! Click here to see a list of upcoming public events where you can hear the Soft Touch Dance Band perform. An audio-tape is available and we welcome auditions at our rehearsal hall in Waltham or at a local performance. For further information, call Bob Weston at 781-899-8973, or e-mail westonr@softtouchband.com .